It’s almost vinyl liner replacement season. There’s going to be a lot of people, maybe even your neighbor that will buy their liner online. While there are a lot of things that make sense to buy online, a pool liner is not one of them. We always try our best to give our best advice to all our customers. So, here’s another piece of that advice. Make the choice to hire our professional experts to install your liner. We stand behind our products AND installation. If you choose to go with an online retailer, you’re going to be dealing with someone sitting in an office somewhere not even close to your pool. They can’t professionally measure your pool, install the liner, and if there’s a problem…well it’s really just become your problem. So, when it comes down to it, all an online company can offer you is the liner itself. Having said this, we would welcome an opportunity to measure and install your vinyl liner. We work to make sure the liner fits the first time giving you peace of mind. Having someone with experience take on the task of replacing your vinyl liner is worth the weight of the liner in gold. We mean it! Think about how much more expensive it would be if the liner you ordered online doesn’t fit. Good luck getting a refund after you’ve already pulled it out of the box and unfolded it! Every pool is different. That’s why there is no guessing when it comes to measurements when you work with us. Our experienced installers meticulously measure your pool so your liner fits right and fits the first time. You may even be concerned about the shape of your pool and how in the world you could get a new liner to fit. Well, that’s the great thing about having a vinyl liner pool. No matter the shape, depth, or angle, we can measure and make sure your liner fits great! Another great benefit is the long lasting characteristics of vinyl. Its ability to flex and withstand the weather are great benefits of having your vinyl liner pool. With these traits, vinyl liners can last up to 12 years of enjoyment and fun for you and your family. You can also pick from a near endless variety of colors, patterns, thicknesses, and shades that best fit your pool and patio area. 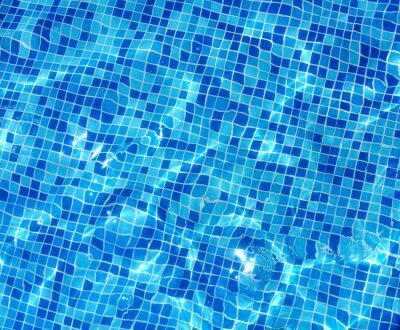 So, when it comes down to it, we believe vinyl is the best choice for you and your pool. Vinyl liners are one of the key style elements for your above-ground pool. Vinyl pool liners protect your pool while creating the look you want for your backyard space, but many people know very little about liners until they actually invest in a swimming pool. If you are in the market for pool liners near Birmingham, AL, here is what you need to know. Getting the right fit for your vinyl liner should be your primary concern. Poorly fitted pool liners can look wrinkled, leak, and even cause damage to your pool by allowing dirt to get trapped in the wrinkled areas. Even if they don’t cause any problems, liners that don’t fit properly wear out faster and need to be replaced more often. The best way to get the right liner for your swimming pool is to work with a local company that can precisely measure your pool for you to ensure you get the best fit. Although it is possible to order a vinyl pool liner online, most above-ground pool owners struggle to install their own liners. Not only is the job tedious, but improper installation also leaves your pool at risk. Above-ground pool liners help to protect your pool from the elements, but when they are not installed properly, they leave your pool vulnerable to weather damage and more. Professional installers will ensure your liner is placed correctly the first time so you can avoid complications as well as costly and time-consuming repairs. Your vinyl liner is your way to put your stamp on your above-ground pool. Liners come in a variety of colors, patterns, and thicknesses to help you get the look you want. For instance, choose sandy colored vinyl tiles to cast an aqua tone reminiscent of Caribbean islands on your pool water or deep blue vinyl to create vividly colored water. Your pool professional can help you match your liner to backyard style. Why Choose AllStar Pool & Spa? If you are considering installing a hot tub , swim spa , or above-ground swimming pool in Birmingham, AL, then AllStar Pool & Spa is the right choice for you. Our family-owned and operated business has been installing above-ground pools and more in the Birmingham area since 1983 and offers a full range of pool and spa products and services. From our free, in-store water analysis service to our flex financing opportunities, we make choosing and installing a pool or spa easy and stress-free. At AllStar Pool & Spa, we specialize in above-ground pools, complete with pool decks and a variety of designs. Above-ground pools offer the luxury of a backyard pool without the expense and hassle of excavation. Our range of pool supplies means that your pool will always be ready for you to take a dip. In addition to our pools, we also offer a variety of hot tub and swim spa lines, perfect for relaxation or for boosting your aerobic fitness. If you are interested in an above-ground pool, contact us today to talk to one of our pool and spa experts and find out how we can help you.